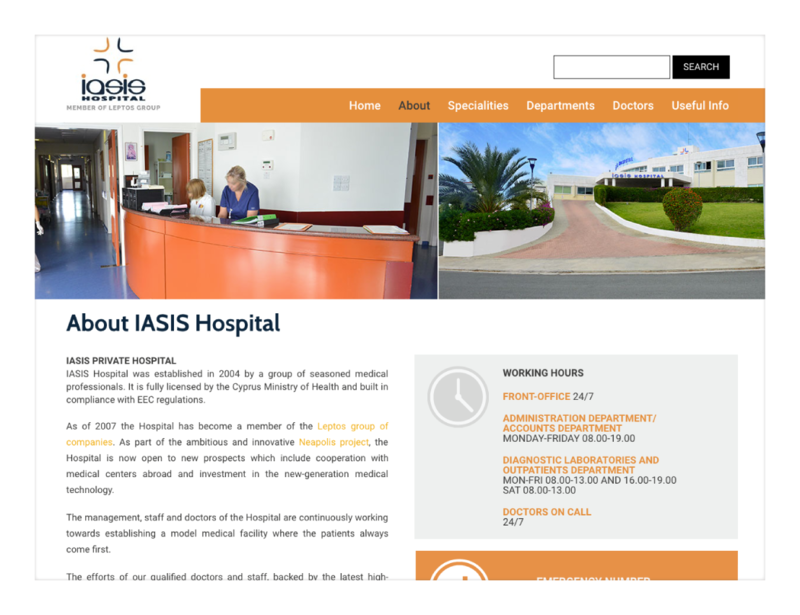 IASIS Private Hospital is a modern medical, diagnostic, surgical center in Cyprus. The Hospital offers a comprehensive range of services in medical and surgical specialties through collaborations with leading doctors (both permanent and visiting). 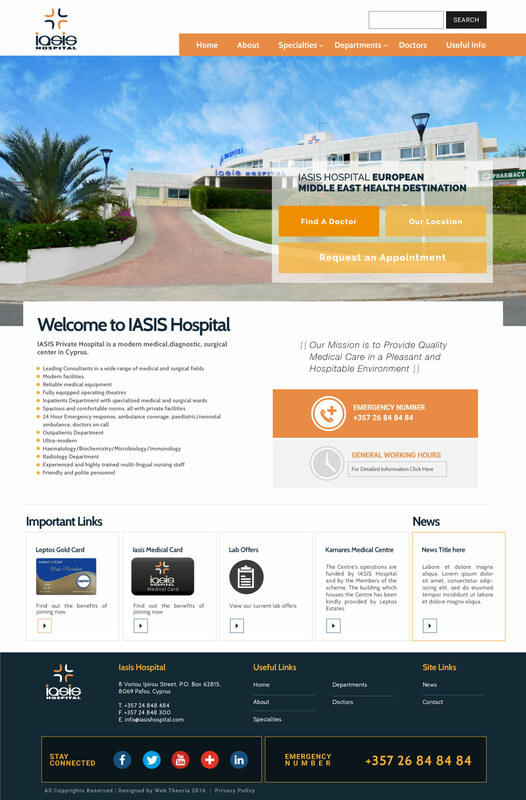 Designing and developing a website for a Hospital was definitely something new for us. We had to work overtime in order to understand how best we could go about doing that in order to accommodate the website’s visitors from a patient’s point of view. Simplifying complicated medical departments, terms and procedures isn’t the easiest task but we felt up to the challenge. Close collaboration between us and the helpful people of Iasis as well as in-depth research was needed on our part to pull this off. We believe that the result is modest enough taking everything into account.